FOR YOUR PRODUCT, MARKETING, AND ENTERTAINMENT NEEDS. INVENT SOMETHING EXTRAORDINARY FOR OUR CLIENTS AND PARTNERS! 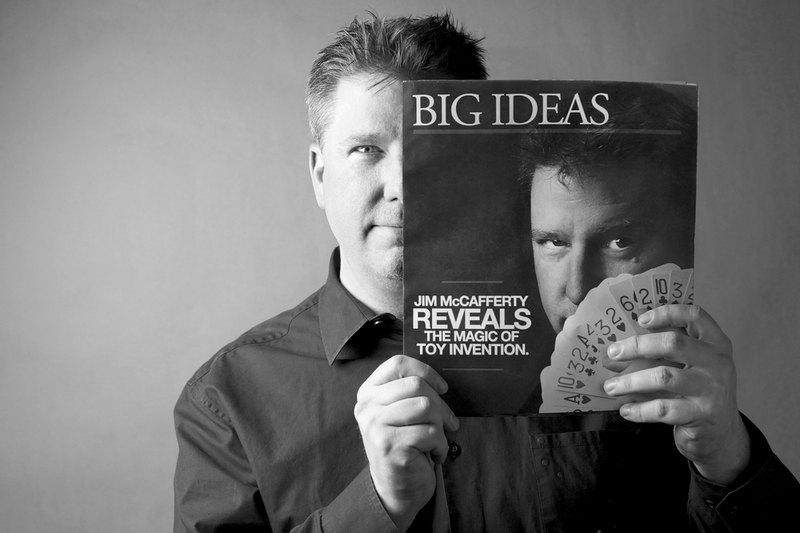 Led by Jim McCafferty, the JMP team consists of a unique mix of talent. From inventors to product designers, illustrators to marketing specialists, and content creators to writers. With our experience, processes and resources, JMP is equipped to tackle your product, marketing and entertainment challenges. 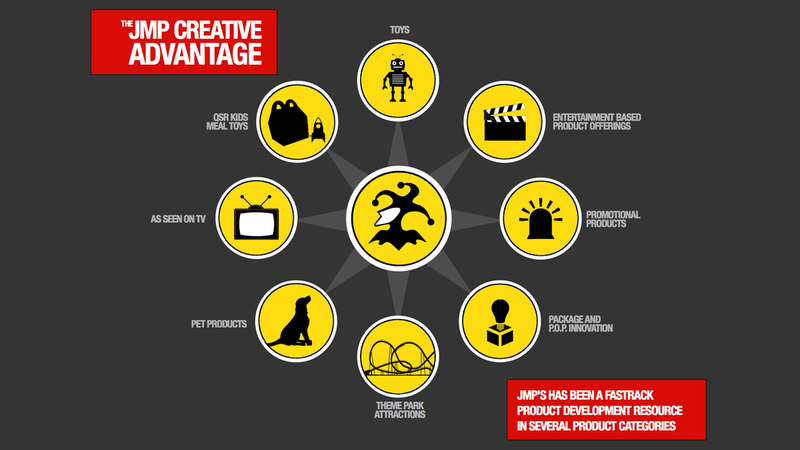 Since our founding in 1992, JMP Creative has served as inventors dedicated to delivering groundbreaking, business-growing solutions for the product, entertainment and marketing needs of our clients and partners. 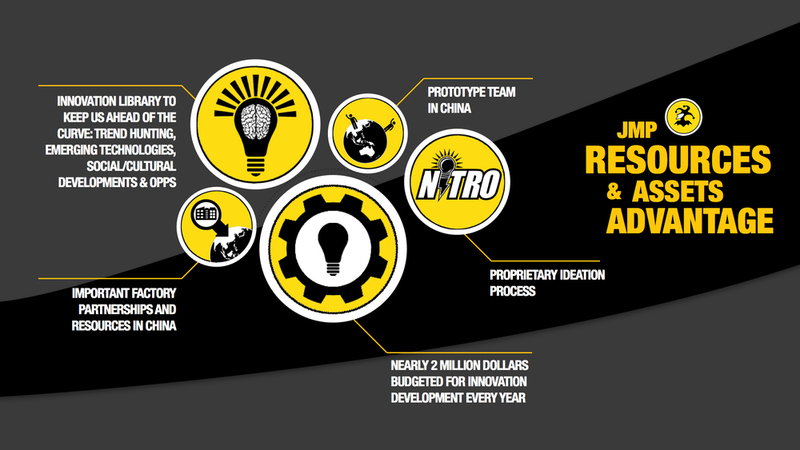 Our agency story is best told by the numbers. JMP's team is a product development powerhouse, having developed concepts resulting in over a BILLION UNITS OF PRODUCT to reach the marketplace! We’re regarded by toy companies—from the industry’s largest players to smaller outfits across international markets—as one of the top invention resources in the world. And we’ve developed products achieving Toy of the Year status in multiple countries. But our product development abilities don’t end with toys, as we’ve created and provided contributions to numerous industries. JMP is rooted in entertainment. With extensive studio relationships, we’ve contributed to successful consumer products and promotional programs for hundreds of entertainment properties. More importantly, we develop original entertainment through our many partnerships with toy companies and studios. With a focus on development of product that drives content—a must in today’s licensing landscape—JMP was the originating source of Monsuno, a kids’ property which aired in 47 countries. We possess a growing library of product-centric entertainment platforms, some of which are under consideration in our current discussions with studios and production houses. JMP frequently serves as a secret, behind-the-scenes resource for entertainment marketers by enhancing content through concepts that generate organic product integration. The result is a consumer products platform that not only reinforces entertainment content…but actually drives it! PLEASE DO NOT SEND IDEA SUBMISSIONS. WE DO NOT ACCEPT OUTSIDE SUBMISSIONS. You know who we are. Now it's time to show us who you are. We're looking for talented toy and product designers who are well-versed at finding the balance between creativity and deadline constraints. We're also looking for interns who are ready to jump in and experience the mind-blowing rollercoaster that is the toy industry. Interested? Hell yes, you are. So here’s how to show us you have what it takes.